National UK telecoms giant BT has today released its latest results to 31st December 2011 (Q4), which saw their retail broadband ISP subscriber base add +146,000 (net) customers to hit a total of 6,144,000. BT also announced the launch of a new FTTP on Demand service, which could in theory allow them to deploy ultrafast 300Mbps+ (330Mbps in BT's PR) fibre optic ( FTTP ) broadband services to almost anywhere that its slower FTTC goes. A 1Gbps trial is also hinted. The results represent a strong quarterly growth, albeit one that has slowed from the +166,000 net additions added during Q3. Elsewhere BT's primary 'up to' 40Mbps (rising to 80Mbps during Spring 2012) superfast broadband ( FTTC ) service has seen its coverage expand to 7 Million UK homes and businesses (up from 6 Million in Q3). BT Retail's share of the superfast broadband ( BT-Infinity ) base increased by +95,000 in Q4 to reach more than 400,000 customers, which marks another steady rise in uptake from the +88,000 added during Q3. Separately the BTVision ( IPTV ) service (broadband TV) continued to grow by adding +39,000 new subscribers (total 679,000), which is slightly down from +44,000 in Q3. "We have delivered another quarter of growth in profits and cash flow despite the economic headwinds. In the UK, our fibre roll-out has accelerated bringing super-fast broadband within reach of over 7m homes and businesses and we remain the number one broadband retailer with over 6m customers. Our fixed-line base has now grown for the last five quarters and our active consumer line loss is at its lowest for five years. We expect to achieve our 2013 EBITDA1 target of above £6bn a year early and to deliver free cash flow2 of around £2.4bn this year." BT's performance in the last quarter has been strong but our readers will probably be more interested in the new FTTP on Demand solution, which has already had successful trials in St Agnes (Cornwall) and more are due to follow this summer. BT is somewhat vague about how this new method of deploying fibre optic services will work, although it appears to overlay the existing fttc solution. 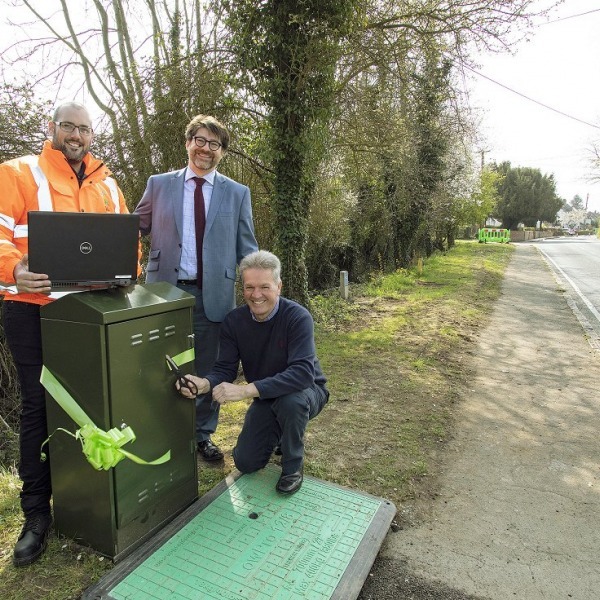 Previously, FTTP speeds (100-300Mbps) weren't possible in FTTC (40-80Mbps) enabled areas but BT has "developed a solution that takes advantage of the fibre it has already deployed between the exchange and the street cabinet". 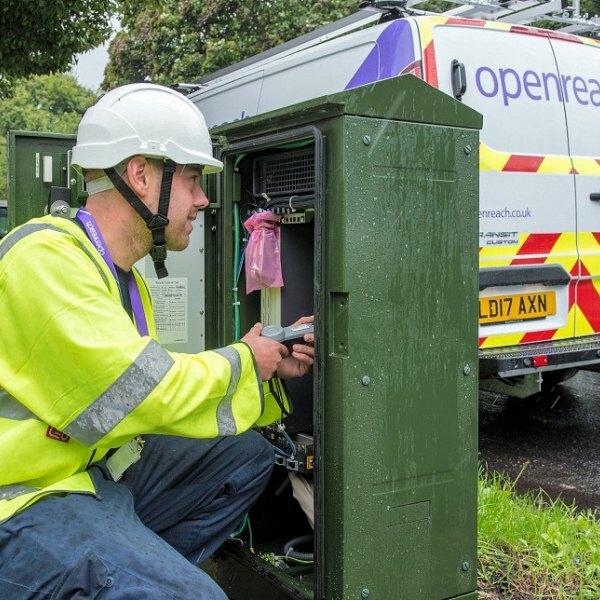 "FTTP on demand is a significant development for Broadband Britain. Essentially, it could make our fastest speeds available wherever we deploy fibre. This will be welcome news for small businesses who may wish to benefit from the competitive advantage that such speeds provide. We are also doubling the speed of our standard fibre broadband this Spring giving ISPs the chance to offer speeds of up to 80Mbps. This will ensure that residential customers have world class speeds for all their family’s needs." According to BT, FTTP on Demand is anticipated to become commercially available to all ISPs by Spring 2013 next year. Sadly the service isn't likely to be cheap because BT's press release appears to focus on the business advantages, although it does confirm availability for home users too. We'll have more details later.. keep watching. Tucked away deep in BT's press release is also a single line mention that the operator was "also testing a 1Gbps FTTP speed variant". 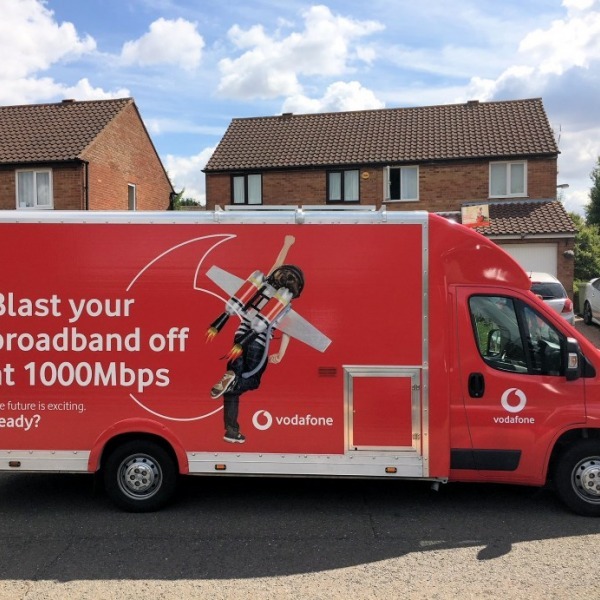 BT has always said that its FTTP solution would one day reach speeds of 1000Mbps (1Gbps) and so this isn't really a surprise, although it's nice to hear that they won't stop at 330Mbps. 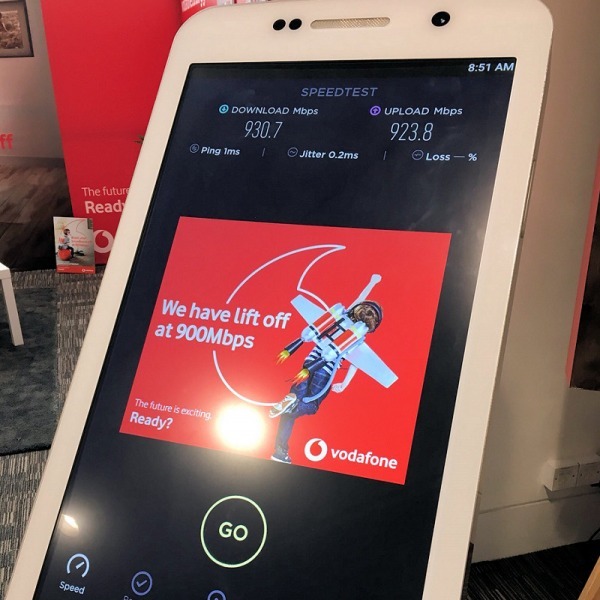 By comparison Virgin Media would find it hard to go beyond 300-400Mbps due to the limitations of their platform, although Virgin can cover significantly more than BT's limited FTTP footprint (currently targeting around 2.5 Million premises vs Virgin's 13 Million). It's not yet known how the new On-Demand FTTP solution will impact this as it appears to be an 'at request' service. BT's main battle horse is thus still their slower 40-80Mbps FTTC service (possibly 100Mbps+ in the future), which aims to cover at least 66% of the UK by 2014. After putting a few questions about FTTP on Demand to BT's NGA spokesperson we now have a little extra detail to share. In terms of cost, several price options are being explored and nothing has been set in stone. How much it costs is also likely to "depend on the exact location of the premise that wants the service" (i.e. the further you are away from the cabinet the higher the costs will be) and whether or not such work is subsidised by public money. Galvin did suggest that the installation cost (to CPs) is likely to be in the "high hundreds of pounds". He also hinted that ISPs would have some control over whether or not it ends up costing "the same on a monthly basis as normal FTTP". ISPs might need to "absorb" some costs for that to happen; so don't believe any predictions about price yet, it's too early. 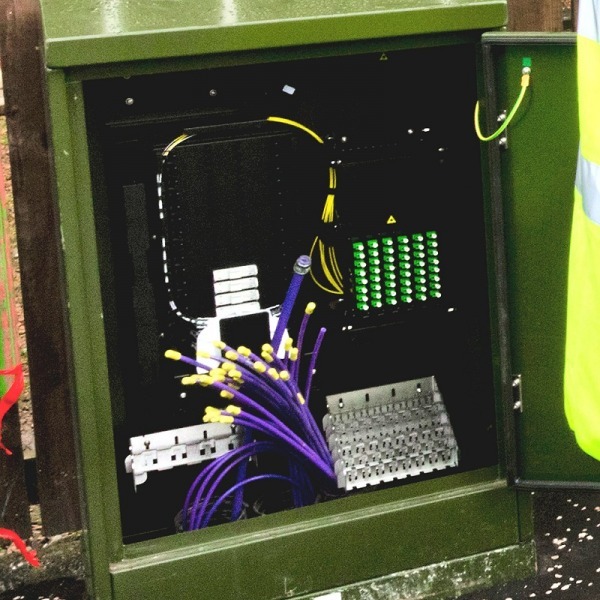 BT also confirmed that the service would indeed be available "wherever we have deployed fibre enabled cabinets", so it is a significant development; assuming ordinary folk can afford it. When asked how this service would impact BT's current FTTP rollout, the operator told us that it "does change things somewhat although we haven’t formally issued a new c/p split" (FTTC / FTTP). So right now we don't know the answer. BT also shared with us a related diagram, which sadly lacks explanation of the points but some of you will know all the bits and bobs.